Family Restaurant is rated 3.0 out of 5 by 10. 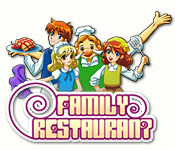 Rated 5 out of 5 by ElzaFirewing8 from Family Restaurant Love this game, it rocks and is fun!! Rated 5 out of 5 by Peachkins from Very fun cooking game I really enjoyed this game. In this game, you are the chef and your job is to not only get food out to your customers in a timely manner, but also as accurately as possible. When it comes to certain things like pizza and ice cream sundaes, you are given a particular number of ingredients to use and can make up your own recipes. Other items have to be arranged, grilled, fried, etc. I think the main reason I like this game so much is that unlike many other time-management games, it's not just a matter of pointing and clicking to get something done. You have to complete your dishes accurately, which means arranging the food on the plate a certain way and putting your sauces and dressings in just the right place. Just like in a real restaurant, all the plates you send out are expected to look the same- as in perfect. The money you earn on your dishes is directly related to how accurately your dish was made. This game for me is a lot of fun. 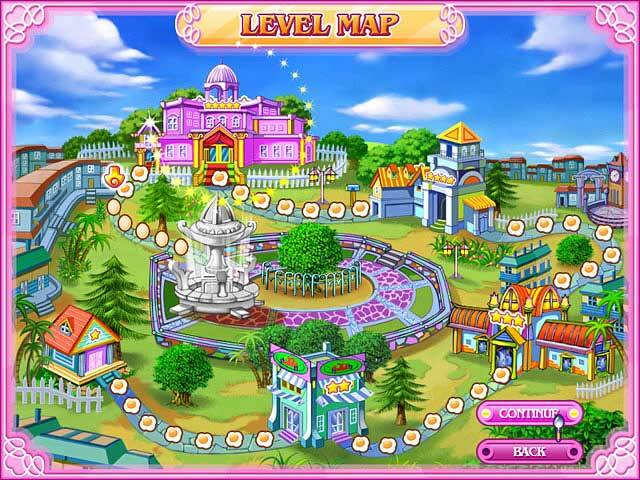 There are easier levels and then levels that are appropriately challenging. You even help determine how hard certain levels are- the harder you make your custom recipes to replicate, the more difficult the level will be that features that recipe. The storyline is adequate to pull the levels of the game together. This is a game that I can play and replay again. Rated 4 out of 5 by DrunkArmadillo from Fun to play,but nothing special. The game is simple. You have 5 levels and for each of those 5 you have 7 within. At first its seems really simple and easy but the further you go into the game the harder it becomes. You get a lot of foods to make at once and you have a lot of customers. The graphics aren't bad at all and the music is okay but can easily be turned off. The most interesting thing is making your own Ice-cream,Pizza,ect recipes and naming them. Otherwise its a good game for those who enjoy the type. It isn't a game that will glue you to your seat but rather one that you will keep coming back to play. 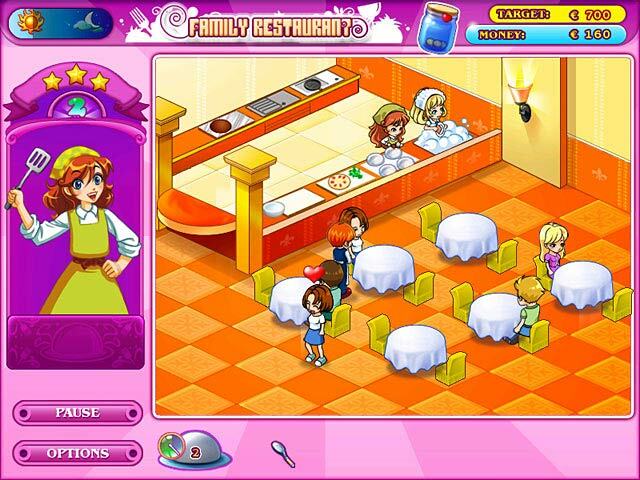 Rated 3 out of 5 by bep1 from Nice Game I like this little restaurant game. It is fun trying to make the various dishes yourself, and also to invent your own dishes. I don't care for the timer, but I do like the game, so I purchasaed it. Rated 2 out of 5 by cate0331 from Impossible to get through I liked this game when I started, however once I failed a level 15 times, I got so frustrated I gave up. You do not have enough time to do things. Once an order is in your line-up, the timer goes off on each, even if you have 6 plates ahead of it. By the time you get to it, especially if it is something that needs to be cooked, you don't have enough time. Also dishes like pizza are hard. I have done them perfectly and still get lower scores. You have to use enough sauce and its hard to tell how much you are using, especially when you are trying to do it fast. This also goes for salad when you use dressing. Its difficult to use the dressing and you usually have to do one line of dressing several times to get it thick enough to get a good score. I will say for some reason I did better using my laptop then on a desktop. I got to a further level. The level I could not get past was the one where the goal is $2250 and sea bass is introduced. I couldn't even get past $1200. (and the best I did was when I only failed on 2 dishes) Very frustrating. They should at least have bonus time available you can use later if you gain more money than you need on earlier levels. Rated 2 out of 5 by windsong79 from Fun at first The game was fun at first, just enough to challenge you. But as I got closer to the end it was impossible to win! 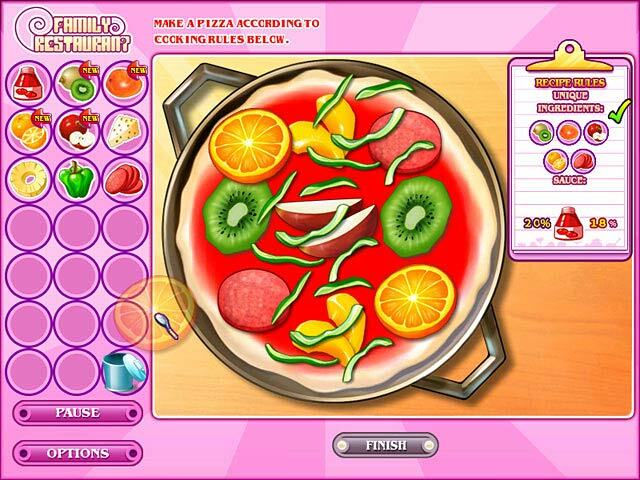 Ten seconds wasn't enough time for some of the dishes and no matter what I did for one of the pizzas I always failed:( Deleted it off of my computer after I failed the same level ten times! Rated 2 out of 5 by catbag8717 from Not Really A Fan! I did not care much for this game. Good Parts: The ganeplay was pretty good. In some levels you got to make your own of something such as ice-cream. Plating and presenting dishes was fun. OK Parts: Game did get boring after a while Storyline was ok. A classic, but maybe should've had some voice-overs The game seemed to be a bit too easy. Bad Parts: First thing about this game that really hit me in the face was the graphics. Absolutely awful, completely out-dated. Very poorly designed and not much detail. I wasn't really having mch fun with the game. I don't thnk this game is wort buying. If you realy want to play a game like this, go for cooking academy or Diner Dash. Rated 1 out of 5 by starry_lady from Not So Great Good things about the game: 1) Creating your own recipes. 2) Having to be accurate about how you plate your creations. 3) Graphics are adorable and the storyline is pretty cute, but very simple. Bad things about the game: 1) You only have ten seconds to plate your dishes. 2) Having to be accurate about plating your dishes in that ten second window, which is nearly impossible if you're trying to plate a dessert and fry something at the same time. Overall: Not so great. Fun for the first five levels - after that, the gameplay becomes too complicated. If you want something that will really take all of your concentration and patience, this is the game for you.